Smiling through adversity. 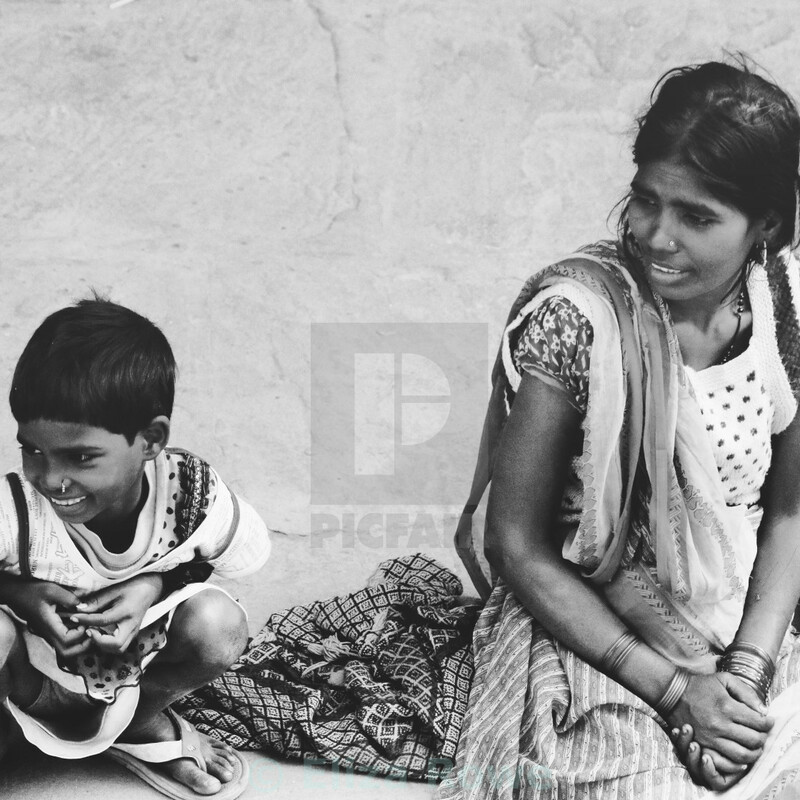 Mother and child on streets of Varanasi. Black and White.